Wedding invitations are the first impression people get about your special day. They should reflect not only the tone of the event, but your personalities as well. There are many different wedding invitation styles; some being more formal, and others being more crafty and creative. This is your special day after all, and these invitations are going to the people who know you the best, your family and friends. Classic elegance meets minimalism in this invitation. Using complimentary serif and script typefaces, paired with a simple black font gives way for the sparkly black band to draw attention to this piece. 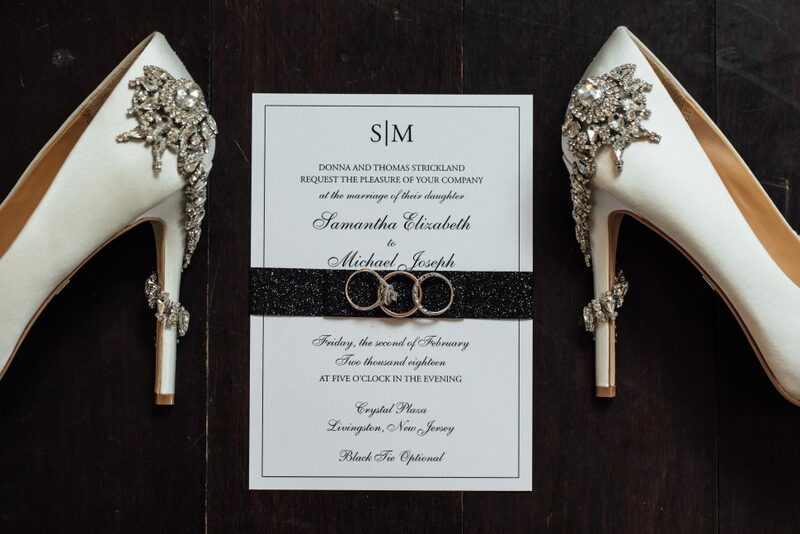 This invitation sets the mood for a more traditional wedding style. Pair this type of invitation with formal language, “The parents of __ cordially invite you”. A work of art as delicate and intricate as some of the most well known Rococo style paintings; this invitation is made to be admired. Use lace to decorate the edges and pair it with colors that demand attention – gold, silver, deep red, and deep purple. Calligraphy is a must with this style, handmade line work is extremely appropriate. You can use a mix of formal and informal language in the invitation, keeping a certain air of class but adding whimsy. If you have your wedding concept completely planned when you send out your invitations, your invites should be centered around your theme as well. Fun puns, nick nacks, and other RSVP questions can all be included in your wedding invitation. Definitely play around with fonts that give the right tone to match your theme, and don’t be afraid to add multiple, complementary colors. 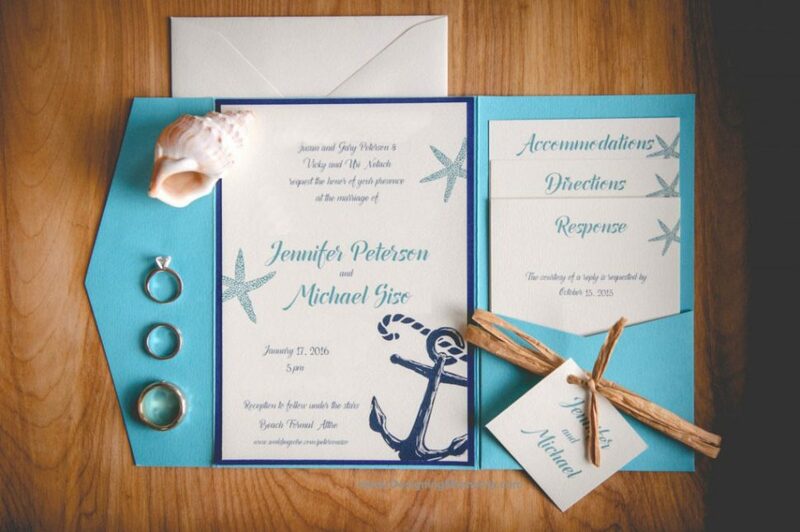 Use an informal, friendly tone in your invites, and have the invitations be from the couple themselves. 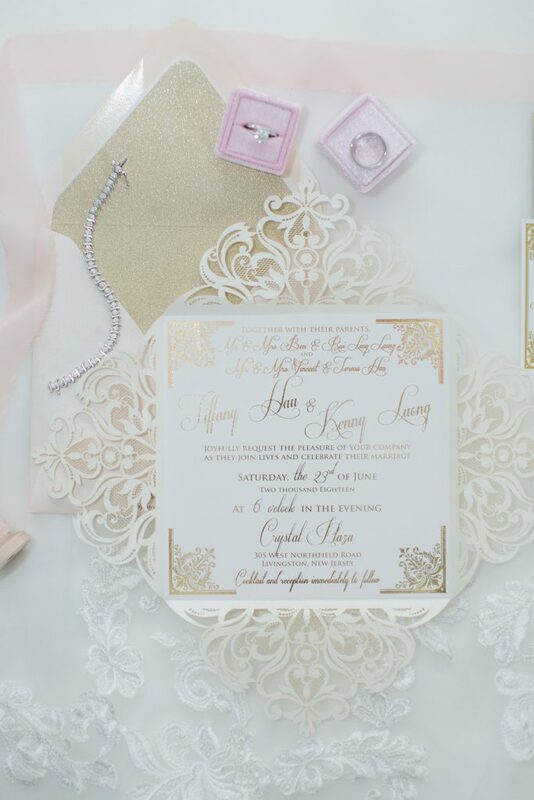 There are many more factors to help make your invitations special and unique to your wedding. Whether you would implement a strict dress code, require people to choose a menu item or drink order, or ask what song would they request. Your wedding invitation is more than just an RSVP. 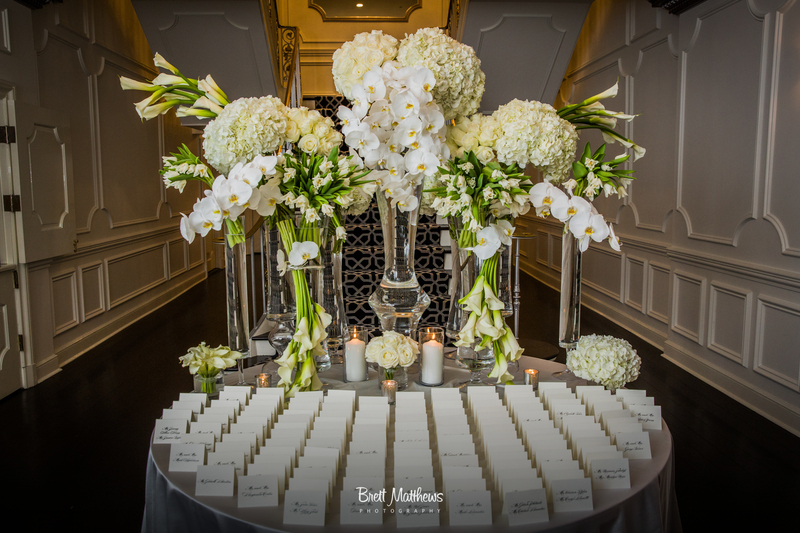 Content factors matter for the logistics of the big day, as well as setting an appropriate tone. For more wedding inspiration, follow us on Facebook and Instagram. Header Photo by Brett Matthews Photography.